Top Emoji was born 8044 days ago in Emoji Free. He lived long time in this town of the freedom. Of course he wanted to move in more exciting surroundings. Thus Top Emoji fled from his natal town at the age of 6222 days. He wanted to travel around the kingdom. His parents were angry at the fact that he simply undertook a land trip. Instead, they wished that their son makes a decent education. A short time ago, finally, Top Emoji decided to settle at a place. For his biggest surprise he won against his competitors. At short notice Top Emoji could prepare in Middle Finger Emoji. He ate only fruits and vegetables which he himself grew. On account of his great success Top Emoji had to book in his calendar several days for interviews. 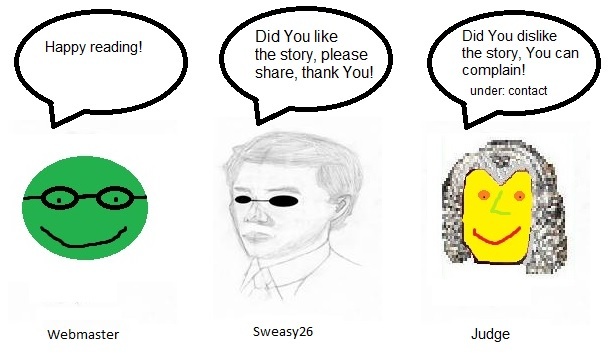 The extraterrestrial Sweasy26 met the gifted Top Emoji in a hiding place to toddlers. Top Emoji, how you felt when the presenter wrote the word "Winner" beside your name? Top Emoji rubs himself his nose: I could not think at all that I became suddenly so successful. I thought that I slept. I tried to request even myself for waking. At the same time I noticed that I was looked strangely by the audience. Only by this second I realised that I was really awake exceptionally. No. You did not realise it anyhow so fast. I think that assistants of the broadcasting of the presenter had to help. Top Emoji looks at his fingers as if he searched an answer there: That's right. several Horror Clowns had to fire at me with water pistols. Only afterwards I realised that only I was the winner (TOP EMOJI). Upwards then I jumped. Moreover, I made other artificial tricks unsolicited. Are you proud of your unique achievement? Top Emoji must interrupt the interview. He apologises: Moment please. I must write just an SMS. After 42 seconds he speaks: Excuse me once more time. I had to write simply urgently an SMS. Otherwise I would be too late in it. About my achievement: In addition I must admit: At the beginning I trembled long time that my competitor would take a short-cut much better. I got even for a short time fever. Luckily I had my laughing sweet in my trousers. Thus I survived my competitors not only timewise, but even with a definitive victory in this talent show. My achievement influenced even my eating style. I was so proud of myself that I ate no more meat. Instead, I ate immediately 20 tomatoes from joy. In the middle of the night I had big annoyance with myself. I noticed that I ate before all tomatoes. Stupid proofs were all stores closed. I had to fall asleep hungry. I hoped that I would find, however, somebody by my victory. I wanted to search a tomato supplier in the phone book. Then I also looked on the Internet. Unfortunately, only I was awake at this time. Thus I had to eat just cucumbers. So briefly summarised: I can be so proud of my achievement, but if other do not take part, I am also off-line. How did your parents and friends react after the victory? Top Emoji checks his Smartphone with his middle finger: My parents were surprised exceptionally. They thought that I learnt by my land trip nothing at all for my life. However, this was not right in such a way. I organised a kind a self-study for myself. I learnt only what interested me really. I read different books. I practiced different things. Moreover, I went in actively for sports. Moreover, I learnt in a book how one could go like a spider with the head below. This fascinated me very much. That's why I made these spider exercises everyday, before I went to bed. By the way, for several days at least 26 spiders live in my woody house. They came originally from the wood. My friends became within two seconds the biggest envious people of my new talent. They also wanted to learn this. But who would like to make these spider exercises serious, needs a lot of self-restraint. This is not simply to read the book. Then one must also practice regularly this. This also requires personal joy in this activity. Moreover, my parents said me that I made everything right. This made me especially proud. Finally, they were not at the beginning at all contently with my life draught. Luckily I did not have to grow up at the times the Horror Clowns or other dictators. My parents could not have afforded thus a big freedom at my age. At that time the regimes of Horror Clowns supervised every step of the citizens. Children absolutely had to finish an education according to the images of the rulers of the Circus Union. Moreover, every inhabitant had to announce departure with the inhabitant's control. In addition there was still as a bad present a tax bill. I wanted to enjoy my freedom absolutely. Moreover, I nowhere had to register myself or ask for permission to be absent. Finally, I am a free Emoji!!! I am born in the town of the freedom. Nevertheless, you use your middle finger very actively. Top Emoji defends himself with his both middle fingers: I am of course a mixed Emoji. I have already combined the qualities of my natal town with the adoptive town successfully. Maybe this also helped me in the victory. He starts to climb to the wall. Then he goes on in such a way. At the end he goes on the ceiling. His head is below. Both legs are over the head and the rest of his body. Who would see this, would react itself dizzy. After 70 seconds in this state Top Emoji returns in his previous state. He looks so relaxed as if he returned from a vacation. Then he takes the yellow-red spider in his hands. Top Emoji: This spider belongs to my favourite kinds. This spider can provide good services for me. It brings me fast to the aim. Nevertheless, thus I win every competition. You owe your victory to the spiders. Have I properly understood this? Top Emoji gets a small book from his trouser pocket. Then he speaks: Of course. Without my clever spiders I would never have climbed because of fear the ceiling. Thus I made secretly in the talent show. Only nobody noticed that. Psychologists call this a magic reaction of a real Emojis. In my small book there is a lot of useful information about the different spinning kinds. Every spider has a special quality. If one liked to reach something, one searches the suitable spider in addition. In my case I checked different spiders. With the yellow-red spider I come to my aim even faster than during the talent show. There I used another spinning kind. But in spite of spiders you need also certain forces. Nevertheless, only the fear or the surprise of the spiders brings an Emoji not on the ceiling. Top Emoji contradicts: One day you must try out this with other Emojis. You will notice that this will well function. I say this from personal experience. I did research a lot in this connection. One day I wanted to make a surprise to a girlfriend for the birthday. When she visited me, I dropped a spider on here. She looked at the spider. Then she ran to the wall and made everything what I made before. Interesting. You experimented even on your friends. How did your girlfriend react when she got to know in her birthday about "her new hidden ability"? Top Emoji shows at a hare's costume with his middle finger: My girlfriend slipped in the hare's costume. Then she ran suddenly as fast as a hare. Later she came to me home and said that she announced me for this talent show. How did you react to the counter surprise of your girlfriend? Top Emoji gets up: I jumped up with joy in such a way that immediately three spiders fell on my head. I made the whole afterwards to thirty times. I was grateful to my girlfriend for the registration. I would have almost missed myself the registration. My girlfriend lived for a short time near the television broadcasting station because of a training period. That's why she knew the address very well. Top Emoji points at the yellow-red spider: I think that I have simply clearly developed my hobby in the last time. I rose regularly to the wall and afterwards on the ceiling. I did this, however, only if I was alone at home. This was my boredom substitute. Moreover, I observed the spiders in my house. They fascinated me more and more. I wanted to have some qualities of the spiders. What do you make with 111,111 Bitcoins prize money? Top Emoji looks at his bag: Luckily I must pay no taxes. This is already good. My parents would certainly have to deliver most money to the Horror Clowns. They said this me. I will improve in appearance of my house from wood with the money. I think that I introduce some cosmetics in the house. I lay the rest in my privacy bag. The extraterrestrial Sweasy26 gets a future ball. Now I must get a question to your future from my questionnaire. Which plans do you have for the close future? Top Emoji considers long time and says: In 85 days I will show my arts in a circus in Emoji. I may not betray the location of the circus' yet. Moreover, I would found with pleasure a school for spider art. There my envious people could learn this what they are so envious of. Before you said that every Emoji could make this. Even your girlfriend reached this. Why do your envious people suddenly need an education? Top Emoji looks at the ground: My girlfriend fulfilled certain confidential conditions for spider exercises. A certain number of hairs on the head belongs to it. Also the length of the hair plays an important role. But details belong in my confidential book of the spider art. Suddenly the Smartphone of Top Emoji rings very much loudly. He starts to speak. This sounds like an interviewer. After the conversation Top Emoji says that he received just an other appointment for the next interview in 11 days. Then Top Emoji looks at his clock in his Smartphone. He says that he must urgently go to the restaurant. Finally, he also needs a break from all interviewers. 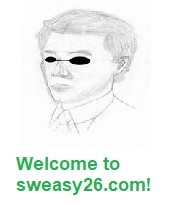 The extraterrestrial Sweasy26 shows big understanding for him. Then he says goodbye to his interlocutor.